Free delivery on online orders $100 and over — anywhere in Australia. ‘It’s a tough business raising young men.’ For too long, Helena, a mother of four boys, has allowed her eldest son to call the shots. Even though Joey - an early school leaver teetering on the wrong side of the tracks - no longer lives in the family home, she does his washing, cooks his meals, hands over money for his groceries and spends her nights driving him around town with rap music shaking the car. Helena thinks she’s found the answer for Joey after hearing charismatic youth worker Bernie Shakeshaft speak on the radio about ‘the shed’, a welding project helping struggling teenagers get back on track. On impulse, Helena decides to volunteer but, despite her encouragement, Joey refuses to be involved. Over the next few years, Helena watches and learns as Bernie teaches the young men to involved to ‘man up’; and, with Bernie’s support, Helena begins to heal her relationship with her son. 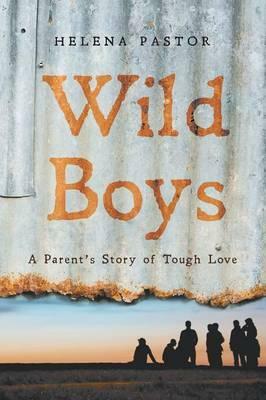 Wild Boys explores the challenges of ‘tough love’ from a mother’s perspective and offers an intimate insight into reconnecting teenagers with their families and communities. Our stock data is updated overnight, and availability may change throughout the day for in-demand items. Please call the relevant shop for the most current stock information. Prices are subject to change without notice. Sign in or become a Readings Member to add this title to a wishlist.